This week I wrote for ehospice about how to make your campaigning message ‘go viral’. The article was written for a palliative care audience but most of the advice is applicable to others. Yesterday APCA ran a little experiment. As part of the ehospice series on ‘raising awareness of palliative care’ we wrote an article about why using digital media is important. We then asked people over our social media channels to share this story and tell us where in the world they were reading it. The response was great. From Nairobi to London, the article spread quickly. But we know that despite reaching a much larger audience than usual the reach of this article was limited. Why? Because the article was just an informative block of text. Why would anyone be inspired to share it? But, we still had a few tricks up our sleeves. 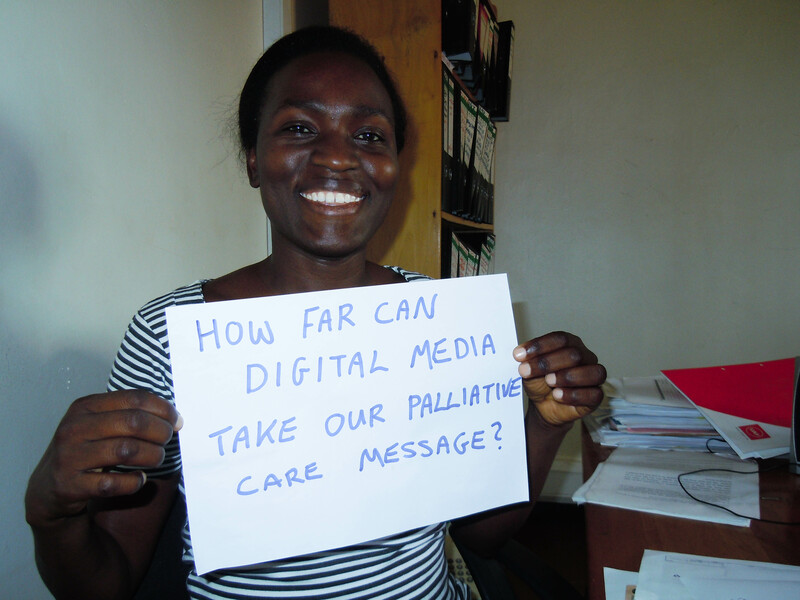 After lunch I asked Maria from our finance department to pose for a photo with a sign that said, “How far can digital media take our palliative care message?” and again, sent this out on social media. The theory here is that the attention span of the average web surfer is getting shorter and shorter, so you have a better chance of catching the eyes of people with a bold photo or a great GIF rather than with a big block of text. The results of this addition speak for themselves. Yesterday, this one photo gained over 35 shares and reached over 15 times the number of people an average APCA Facebook status does. But using a catchy photo is just one trick to make something go viral. At the heart of the theory is a basic golden rule: posts go viral not because people click on them but because people also want to share them. Why would someone want to share what you have to say? Well, Maria Konnikova writing in the New Yorker points out that this theory is hardly new. Aristotle spent a good time wondering what would make his arguments persuasive and be passed on from person to person. His answer was simple – three principles: ethos, pathos, and logos. Content should have an ethical appeal, an emotional appeal, or a logical appeal. These exact same principles apply today to helping content ‘go viral’. In the palliative care community we are lucky that we have all three in abundance. It is just a matter of packaging our stories and messaging in the right way. A good way of checking to see if your content sparks an emotional response is to ask yourself the basic question: If this story came up on my newsfeed would I share it? Finally, it is worth considering current trends and writing and sharing material related to that trend. If the news agenda is talking about the Arab Spring, why not write an article looking at palliative care provision in the Maghreb? If women’s rights in Nigeria is making news, why not write an article on gender and palliative care in Nigeria? There are many more tips online on how to make content shareable – many of which will be applicable to the palliative care community. It is never an exact science so have a go and see what happens. Oh and of course, don’t forget a catchy headline that arouses curiosity. 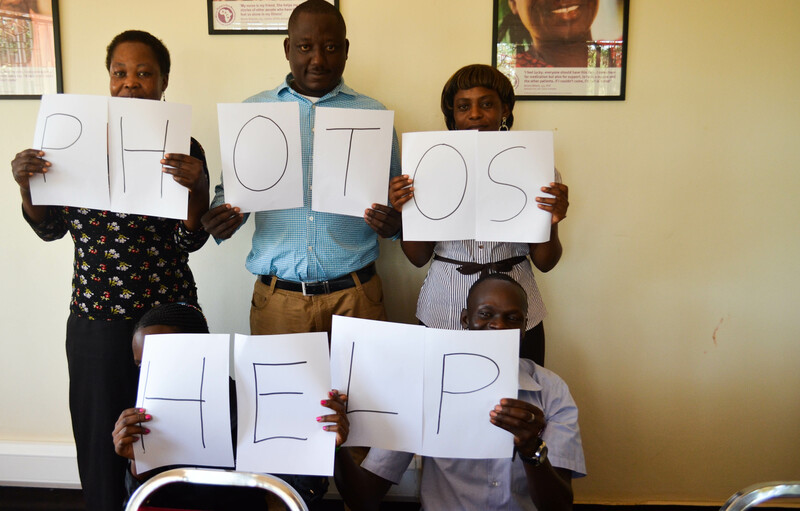 As we said, ‘You will not believe how easy it is to make a palliative care message go viral’. UPDATE: 48 hours after posting the photo on facebook it has had over 50 shares and over 25 times the number of views an average APCA posts receives.